Fudgy Brownies. Vegan + GF. 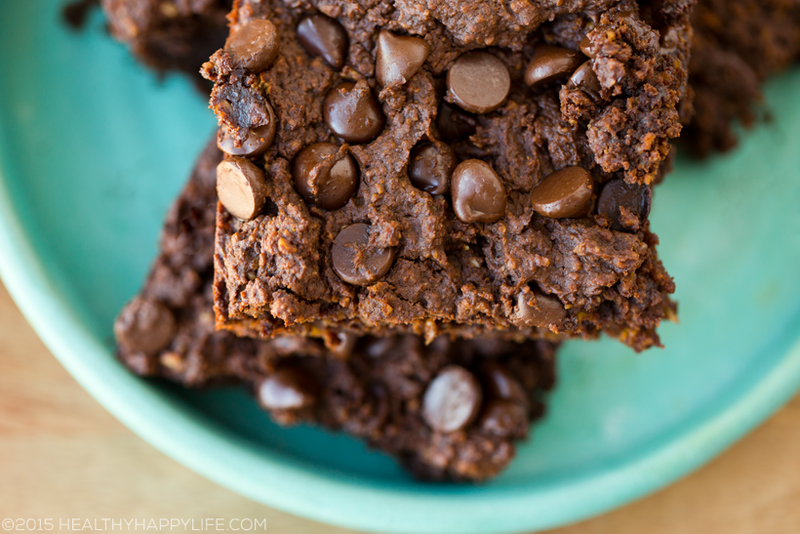 Simple Fudgy Brownies. 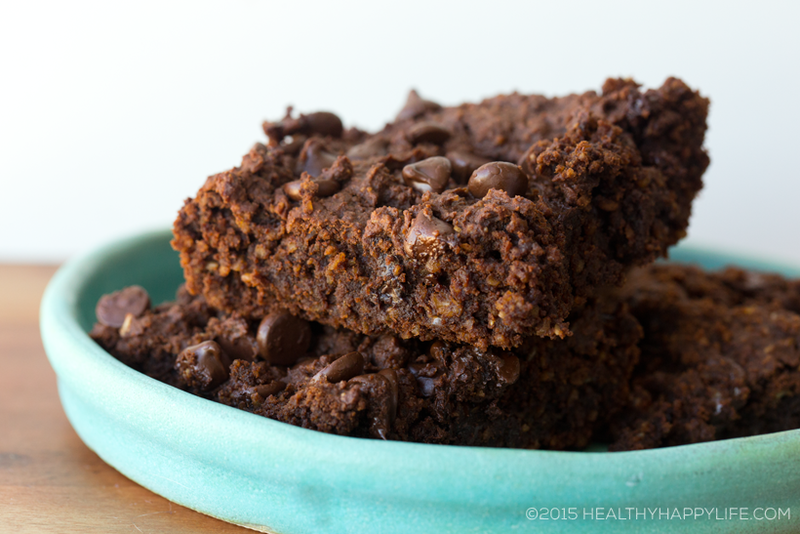 This vegan recipe is delicious, gluten free and perfect for satisfying a chocolate craving. Get the recipe and enjoy some chocolate fudge bliss today.. I made these brownies over the weekend and loved them. They have a rich fudgy chocolate flavor. 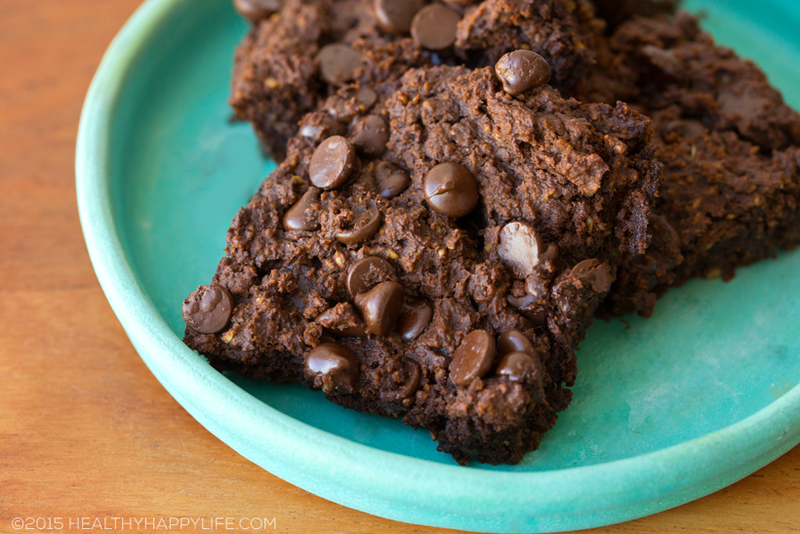 They are a bit crumbly if you do not add a binder like ground flax or chia seeds, but they are still totally delicious. 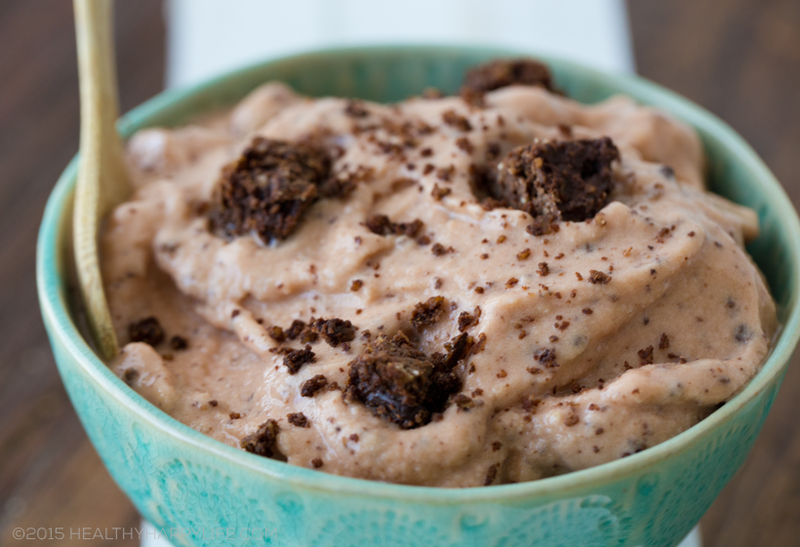 Perfect for making brownie-infused dessert parfaits with either banana ice cream, vegan yogurt or basic dairy-free vanilla or chocolate ice cream. These would also be super yummy with some sweet peanut butter sauce swirled over top right before of after baking them. When I do that, I usually do 1/3 cup nut butter + 2 tsp sweetener - soften and stir together until pourable. Chocolate + peanut butter = yes. Still warm from the pan, totally melty amazing..
Brownie Banana Ice Cream Bowl. SO good! These brownies are rich and chocolatey. And hidden inside each bite are chickpeas and rolled oats. 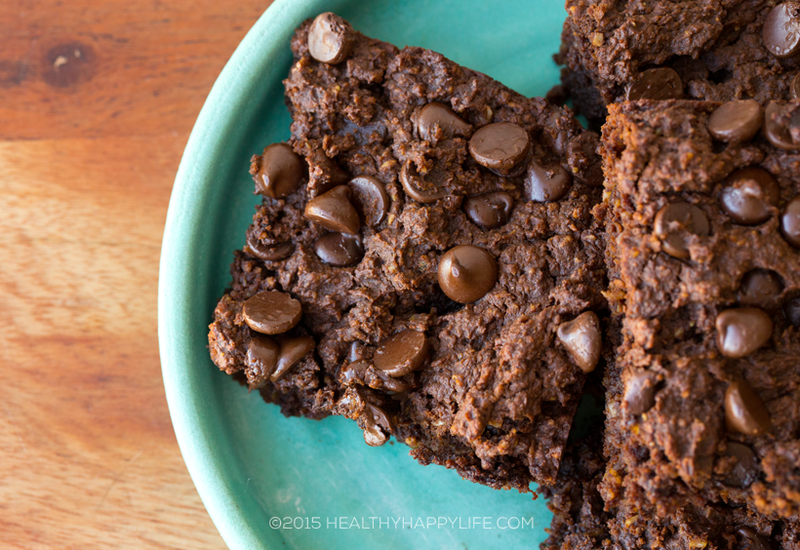 These ingredients help give the brownies body, without the use of eggs. Chickpeas and oats are also well known for being super healthy ingredients that contain loads of fiber, plant-based protein and vitamins and minerals. Plus we all know chocolate is rich in antioxidants. 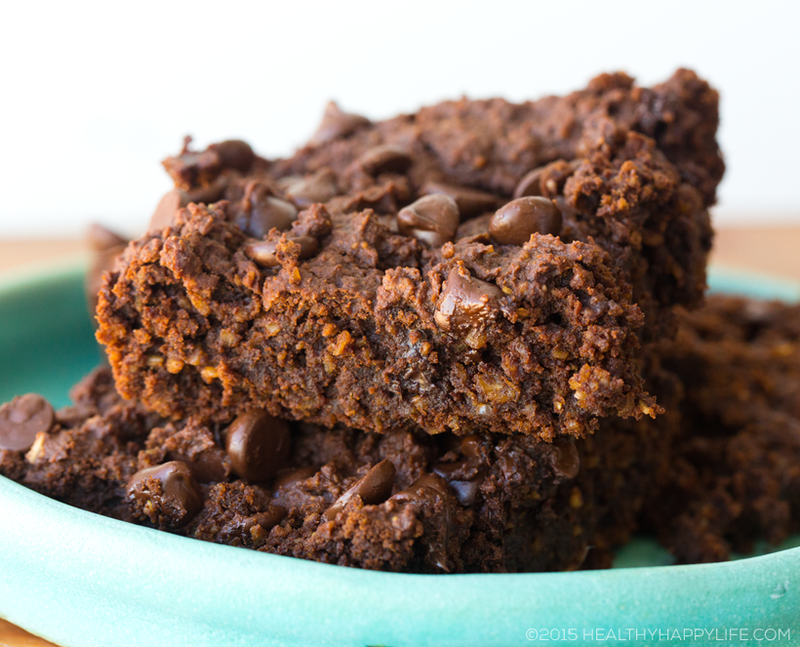 So I say these brownies are a total win win win. Also check out this AWESOME video my blogger friend Jenny Mustard did, featuring my recipe for vegan Alfredo Pasta from my book Healthy Happy Vegan Kitchen Thank you Jenny!.. 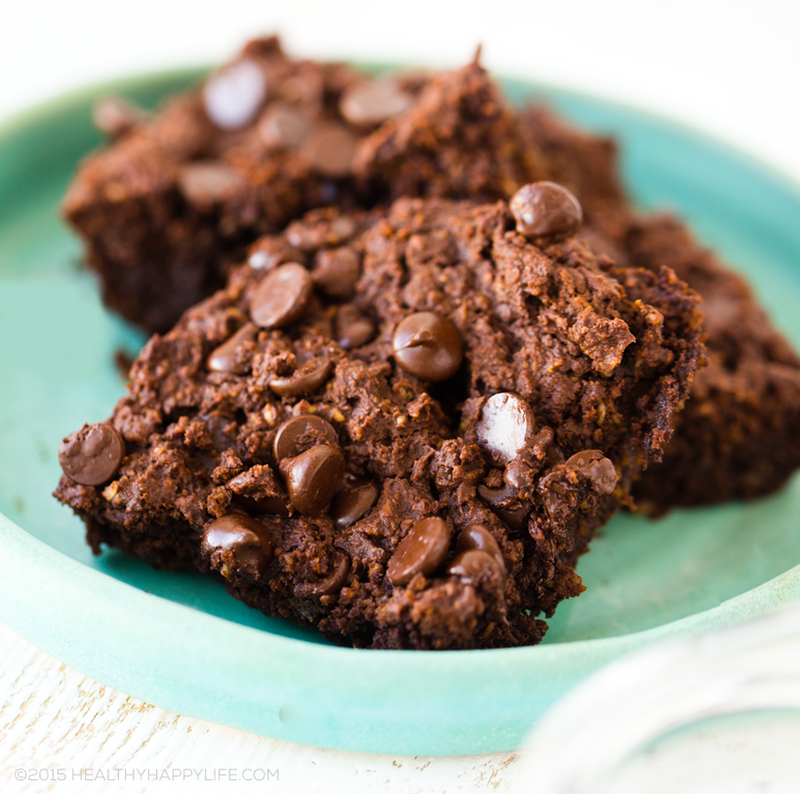 These super fudgy brownies and loaded with rich chocolate flavor - gluten free and vegan. Packed with fiber too! Preheat oven to 400 degrees. Grease an 8x8 baking dish. 9x9 will also work, but brownies will be a bit thinner. Mix all dry ingredients in a large mixing bowl. Blend all wet ingredients in blender until smooth. Make sure the beans are silky smooth. Stir the wet mixture into the dry bowl, until a soft, fluffy batter forms. 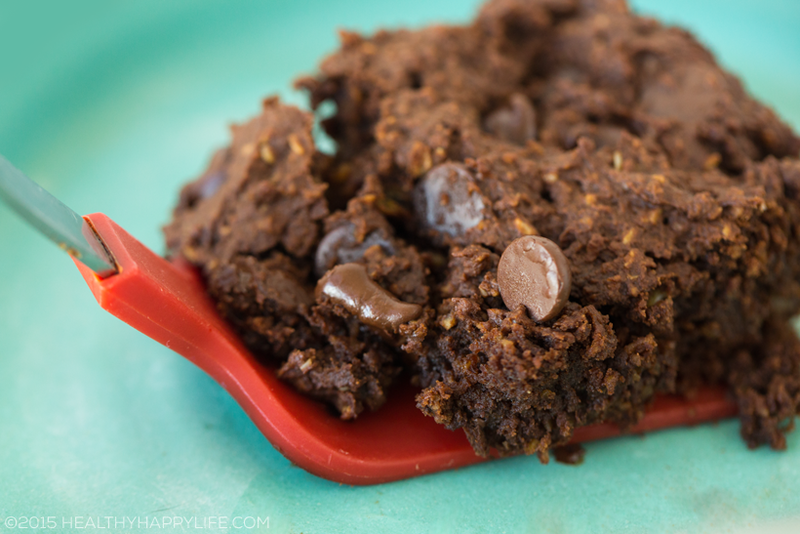 Fold in most of the dark chocolate chips and sprinkle a few right on top. Bake brownies for ten minutes at 400 degrees. Then lower temperature to 350, and bake for another 10-12 minutes. Remove brownies from oven and allow to cool on counter before slicing. Serve warm. 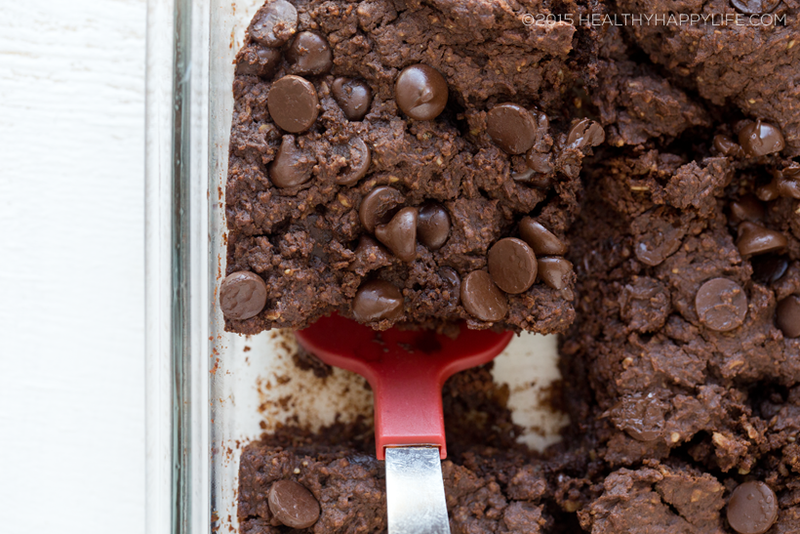 Brownies can also be use in brownie sundaes and smoothies. Cook time: 00 hrs. 23 mins.